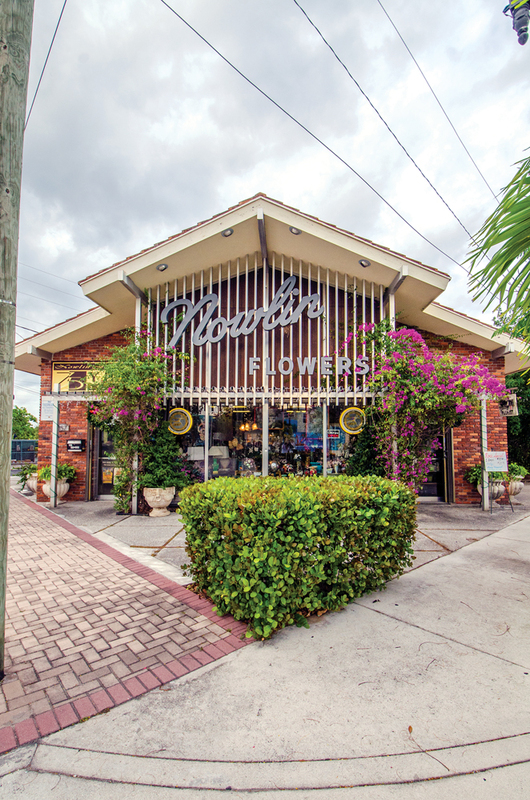 Northwood Village is one of West Palm Beach’s most vibrant neighborhoods. Its main thoroughfare, Northwood Road, is a hub for commerce, good food, and artistic finds. 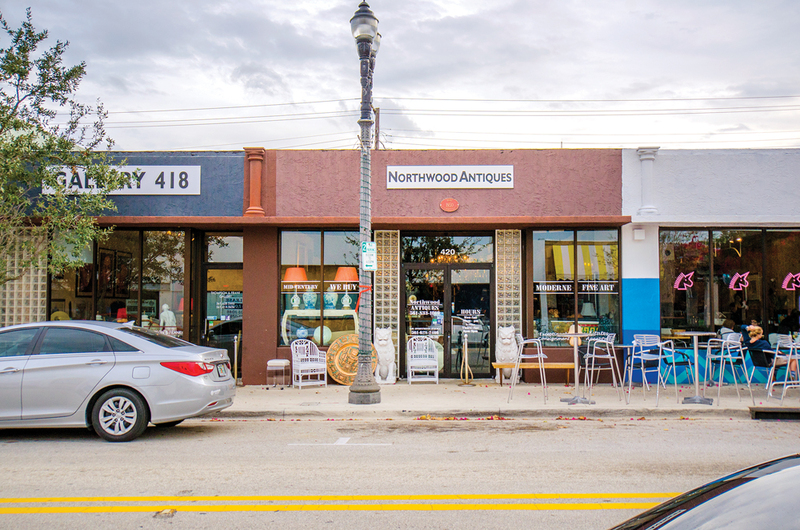 In October, the city voted to designate the 400 and 500 blocks of Northwood Road as a historic district, citing its architectural significance and the role it played in West Palm’s development. “Northwood Road was our second commercial area,” explains city historic preservation planner Friederike Mittner. “It really fueled the neighborhoods around it and helped sustain them.” Mittner believes this designation will retain the road’s authenticity and maintain the balance between new additions and the eclectic elements that make it a great place to visit. 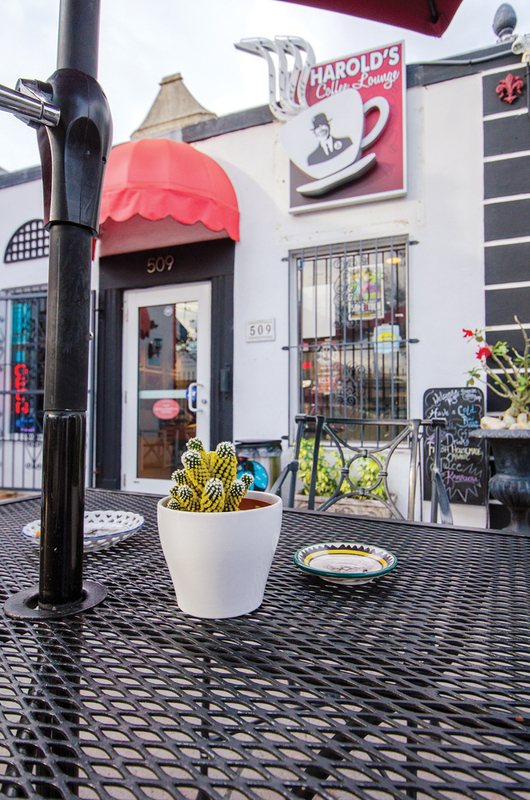 Here, we take a stroll down Northwood Road with stops at some of our favorite businesses. 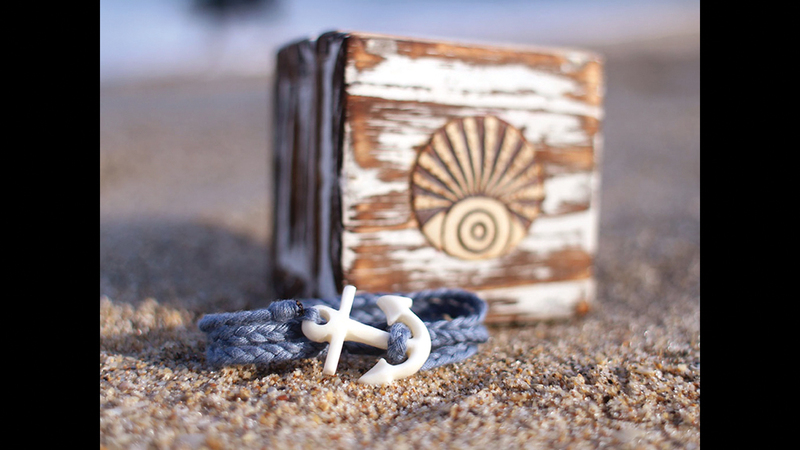 This jewelry outpost, which opened last month, sells funky bracelets with South Florida–approved motifs like shells and anchors. Best of all, each purchase generates income for the Bali artist who created it. 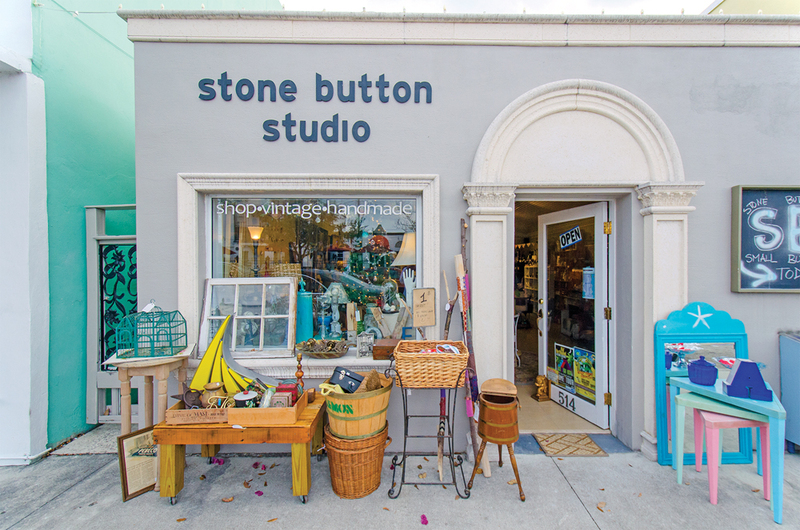 One-of-a-kind finds fill this neighborhood favorite, specializing in chic china, art, and home goods with a story to tell. 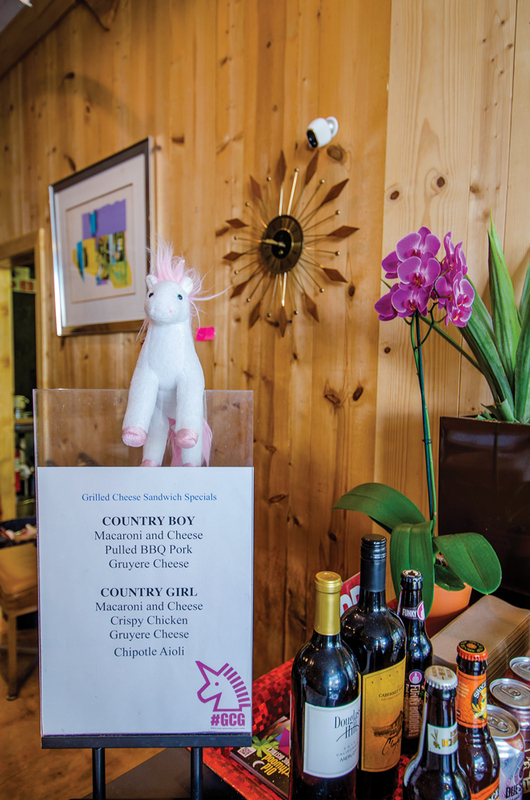 Windows adorned with pink unicorns and the smell of freshly melted cheese signal good food with a sense of humor at The Grilled Cheese Gallery, which pleases palates with clever spins on this beloved sandwich. No Northwood outing is complete without a cappuccino or cold brew at Harold’s Coffee Lounge. Enjoy one on the front porch and watch passersby or take in the locally made artworks that line the indoor lounge. Eyra Caldera’s charming shop is a treasure trove of artisan goods. 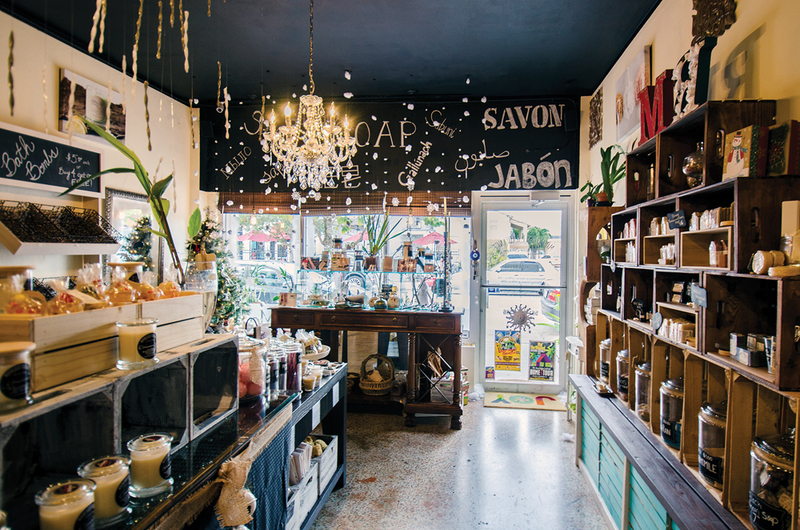 Pick up a few of her handmade, natural soaps or bath products and check out a smorgasbord of beauty items from other South Florida purveyors. Etsy fans will go gaga for this hidden gem stocked with vintage, retro, and upcycled home accessories, furniture, and jewelry, as well as a plethora of oversized letter sculptures. 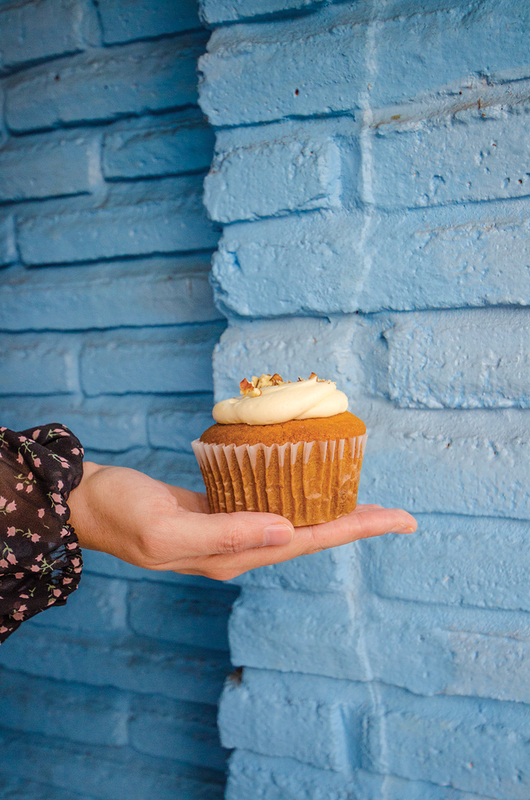 This unassuming bakery serves up seriously tasty baked goods, like the popular sweet potato pie cupcake topped with cream cheese icing. Rocky the cat greets visitors to Nowlin, notable for its midcentury modern exterior and being the oldest business on the block, having opened in 1934.